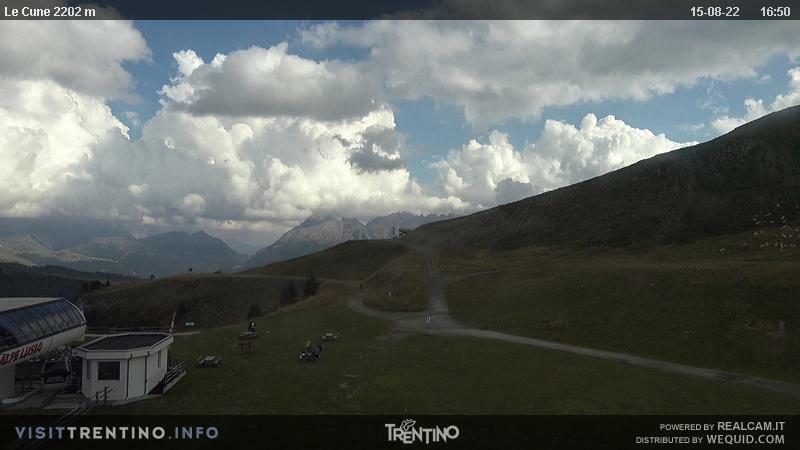 You are here Summer in Val di Fassa - Italy - Mountain biking in Trentino Dolomites! Mountain biking in Trentino Dolomites! Due to the great success of the past seasons, also this summer you can rent a mountain bike at a special price (€ 9,00 a day) on arrival of the second cable car "Le Fassane - La Morea" in Bellamonte. The most difficult and technical part of "Val di Fassa Bike", an international mountain bike race which takes place in September, is right on the Alpe Lusia, at Le Cune, where a steep hill of about 6km along a mountain road, takes competitors to the highest point of the race. It is possible to opt for particularly easy and accessible trails or more difficult and hard-going ones which put even the strongest and fittest to the test. For those without the necessary equipment, mountain bikes are available for hire. Val di Fiemme and Val di Fassa are also crossed by a beautiful cycle path, great for family outings or for those who like to enjoy the view. If you're tired on the way back, take advantage of the convenient taxi bus service – the “Bike Express” which takes cyclists returning from cycle paths of Canazei and Molina di Fiemme back to the Val Di Fassa. So, get your bicycle and go!